Thank you to Joann Bocca-Riviecco from Somerville Overcoming Addiction for speaking to Somerville Rotary today! There are people of all ages and groups suffering from this Addiction Pandemic, especially with opioid related ODs to most of the time, Death. There are help, support, as well as information out there for those who are facing such Pandemic and Joann & Somerville Overcoming Addiction are just doing that! 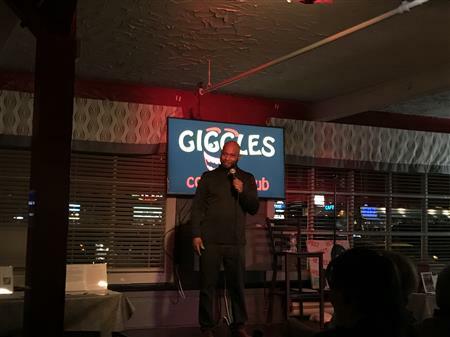 Somerville Rotary Comedy Night at Giggles Comedy Club in Saugus on Rt. 1 South to support upcoming donations to the Somerville Community such as Somerville Homeless Coalition RespondInc, Somerville High School, SHS Science Fair, Catholic Charities and more! 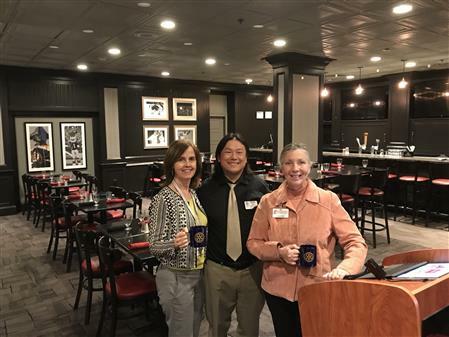 Thanks to Guest Speakers Linda Cornell, President & CEO and Nancy Bergeron, Senior Director of Sales & Marketing from Visiting Nurse Association (VNA) of Somerville, MA for coming out to speak to Somerville Rotary today! VNA was founded in 1906 and continues bring care to people's homes for over a hundred years and now provides a home as well! If you have a loved one that is in need of such service and quality living, for more information, please contact VNA at (617) 776-9800. Somerville Rotary would like to thank our Guest Speaker today, Toby J. White from ARUP. 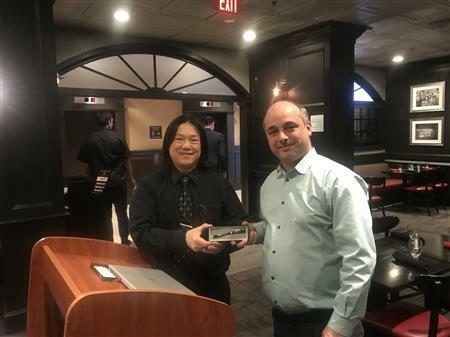 Toby is the Fire Safety Engineer Consultant for the new Encore Boston Harbor Casino in Everett, Ma. which will be opening in June 2019. Toby's presentation of Fire Prevention in Homes, Organizations and Communities was informative and he had important need to know tips from smoke detectors, to fire extinguishers and Holiday Preventions such as keeping a Christmas Tree well watered when your away for a long period of time so your trees doesn't dry out and catch on fire! Again, thank you Toby J. White and #ARUP for coming out to Somerville Rotary! 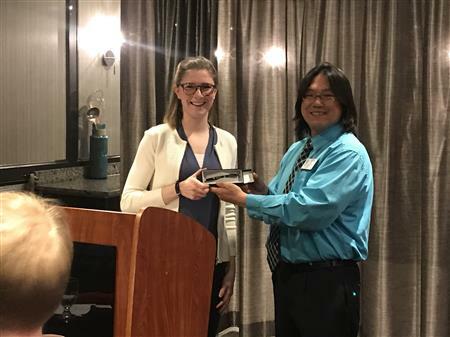 Tuesday, Feb 26, 2019, Somerville Rotary had the pleasure of having Jessica Brayden, CEO of RESPONDInc. of Somerville and our keynote speaker of the day, Eliza Hopkins, Cooridinator of Community Intervention and Education Programs at RESPONDInc. to speak to Somerville Rotary about Teen Dating Violence (TDV) Awareness Month and what RESPONDInc is currently doing in our community. Eliza spends her day educating kids at the elemtary and at high school levels about the signs and ways of prevent TDV. It’s not an easy task giving the age ranges Eliza covers and Eliza deserves to be recognized for this! Thank you Eliza Hopkins and RESPONDInc. for speaking to Somerville Rotary! 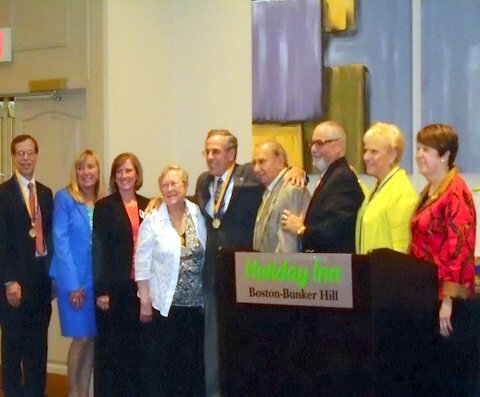 Welcome to the Somerville Rotary Club website. Rotary is a service organization and is about "Service Above Self". It is an organization that operates on the local, regional and international level. Rotarians serve in the community, in the workplace, and around the globe. In addition to service work, Rotary promotes high ethical standards in all aspects of our lives and works to build goodwill and peace in the world. Our Rotary International motto this year is "Engage Rotary, Change Lives". 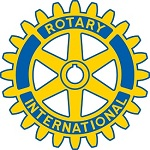 Our club is one of over 34,000 Rotary Clubs worldwide with over 1.2 million members. 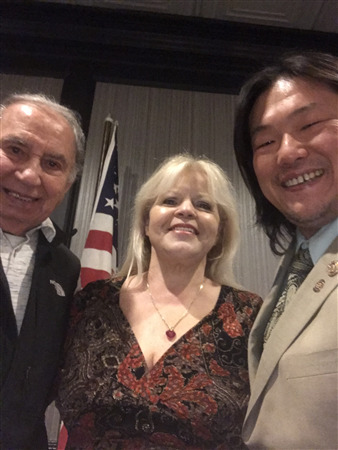 Rotary clubs are open to people of all cultures and ethnicities and are not affiliated with any political or religious organizations. Somerville Rotary is a small but active club. Through our service projects we "engage Rotary" and in the process "change lives". Locally we support the Regional Science Fair at Somerville High School, give scholarships to Somerville students, support the work of many of our non-profit agencies, ring the bell for the Salvation Army during the holidays, and read monthly to elementary school students. Rotary members volunteer in communities locally and abroad to support education and job training, provide clean water, combat hunger, improve health and sanitation, eradicate polio, and many more projects to make this world a better place for everyone. The Somerville club has participated in joint projects with another Rotary club to provide a vision testing machine to a community in Columbia and has sponsored the purchase of a walk-in freezer for a Columbian orphanage that houses 40 children. One of the focuses of Rotary International is the eradication of polio in the world. This project began in the Phillipines in 1979 and since then more than 2 billion children in 122 countries have been vaccinated against the disease. The world is now 99% polio free with reports of the illness in only 3 countries. The Somerville Rotary Club has supported the Polio Plunge for the last two years, sponsoring Polar Plungers and raising money for the international campaign. Rotary is also about fellowship: meeting and working together with other professionals from the community. 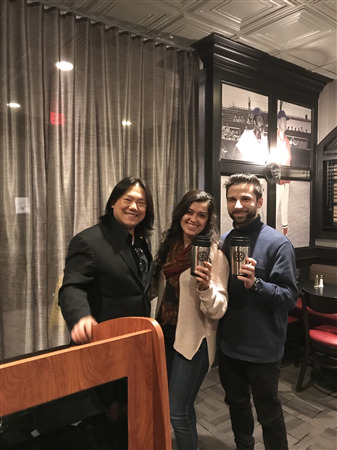 The Somerville Rotary Club meets weekly on Tuesdays at 12:15 at the Holiday Inn, 30 Washington Street in Somerville near Sullivan Station. We would love to have you join us - come to the Holiday Inn on the 2nd through 4th Tuesday of the month (the 1st is reading day). If you have any questions or would like more information, please use the link provided. We will be participating as volunteers for various functions at the upcoming Somerville Homeless Coalition 5k. Mark will be speaking about this event and the impact it has on their organization at our Service Club Meeting on Thursday Sept. 29th at 6pm.